Strengthen the technological development capacity of Ibero-America through the promotion of joint scientific research, and the transfer of knowledge and techniques. Foster the integration of the Scientific and Technological Community, promoting agendas of shared priorities for the region. Promote the participation of business sectors from member countries, in accordance with the research and technological developments of the Scientific and Technological Community. 14:15 – 14:25 Prof. Dr. Luis Bagatolli, Instituto de Investigación Médica Mercedes y Martin Ferreyra, Córdoba, Argentina. 14:25 – 14:35 Prof. Dr. Rossana Sapiro, Laboratorio de Biología Molecular de la Reproducción, Facultad de Medicina, Universidad de la República, Montevideo, Uruguay. 14:35 – 14:45 Dr. Rafael Posada, Instituto de Biología, Facultad de Ciencias Exactas y Naturales, Universidad de Antioquia, Medellín, Colombia. 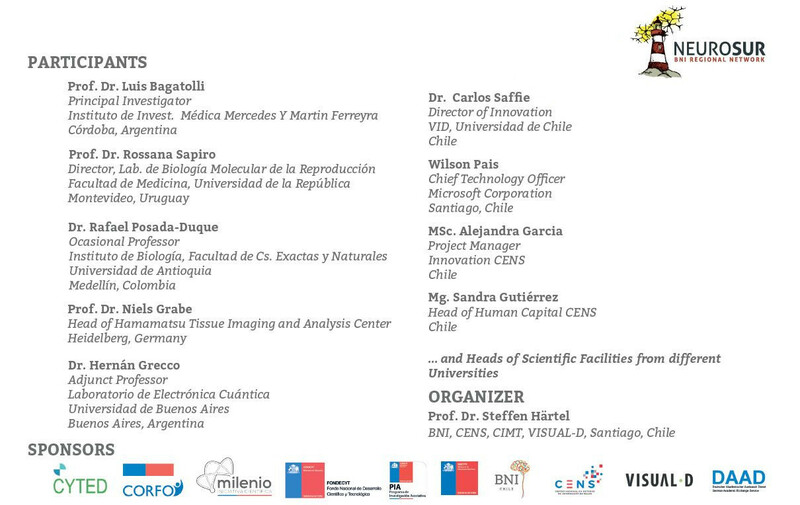 14:45 – 15:00 Prof. Dr. Hernán Grecco, Laboratorio de Electrónica Cuántica, Universidad de Buenos Aires, Buenos Aires, Argentina. 15:00 – 15:15 Prof. Dr. Steffen Härtel: Schema and voting poll results of priorization questionnaire. 15:15 – 15:30 Mg. Sandra Gutiérrez and Camila Valderrama. What are the three main limiting factors identified in each facility? Which competencies meet the needs of the identified limiting factors? 15:50 – 16:00 Sandra Gutiérrez: Challenges and Competencies Synthesis. 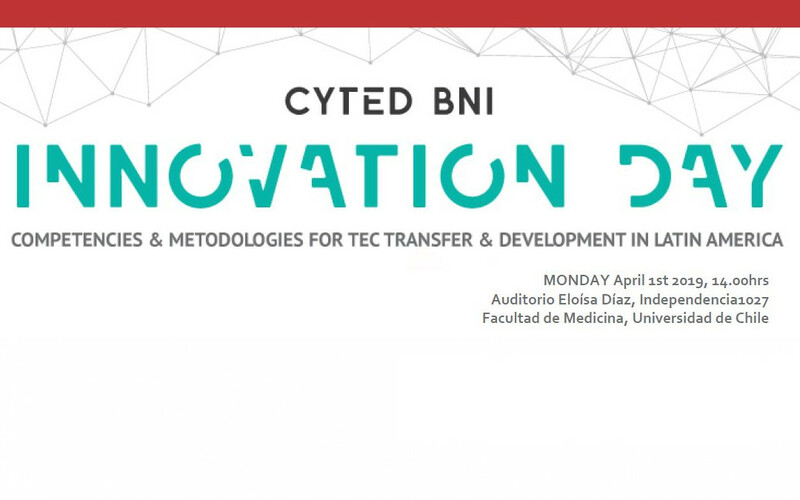 16:30 – 16:45 Dr. Carlos Saffie, Director of Innovation, VID, Universidad de Chile, Santiago, Chile. 16:45 – 17:00 Wilson Pais, Chief Technology Officer, Microsoft Corporation, Santiago, Chile. 17:00 – 17:15 Prof. Dr. Niels Grabe, Head of Hamamatsu Tissue Imaging and Analysis Center, Heidelberg, Germany. 17:15 – 17:30 MSc. Alejandra Garcia, Innovation, CENS, Santiago, Chile.